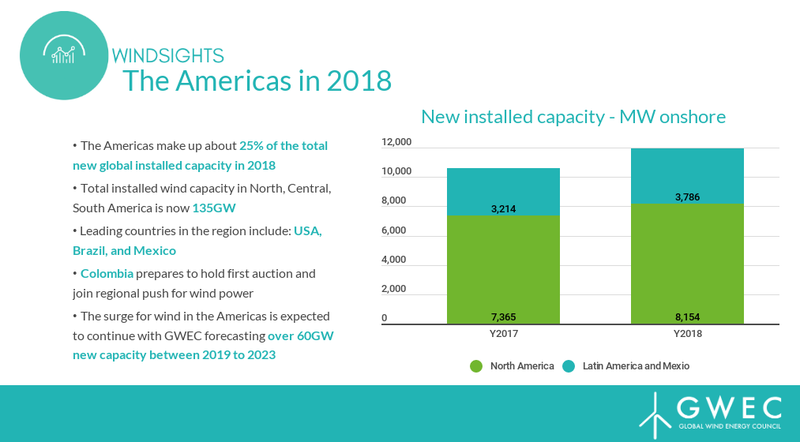 The latest data released by the Global Wind Energy Council (GWEC) shows North, Central and South America has installed 11.9 GW capacity of wind power in 2018, an increase of 12% on last year. In North America (Canada and USA) new capacity additions grew by 10.8% compared to 2017. In Latin America new capacity additions grew by 18.7% compared to 2017. In North America, the wind energy industry supports over 160,000 jobs (Source: CanWEA and AWEA). 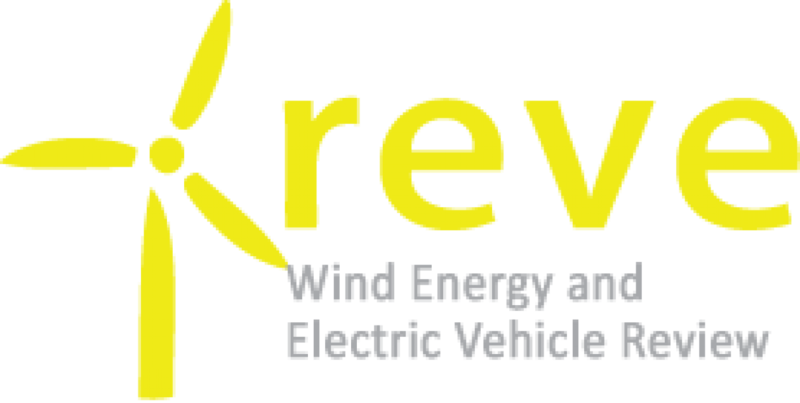 Brazil installed 2 GW of added wind farm capacity during 2018 and auctioned further capacity at world beating prices of as low as $22/MWh. Mexico installed almost 1 GW of new wind turbines capacity, the highest capacity additions ever and now has a total capacity of 5 GW. Mexico expects to reach its target of generating 35% of its power capacity through renewables before 2024. Ben Backwell, CEO of GWEC, said: “The North American wind energy market is one of the most mature and competitive in the wind industry. Many learnings and experiences from the success here can be used in other markets. The rise of corporate procurement during 2018 demonstrates how corporate sourcing can drive demand and volume in other wind markets. The North American offshore wind power market continues to develop with supply chain planning taking place, tenders for offshore leasing zones being conducted (Massachusetts), JV formations (EDF and Shell for New Jersey leasing zones) and industry players establishing offices (MHI Vestas). GWEC expects projects to commence construction between 2020 and 2025.